Below is a viewpoint from Chapter 5 of the Foresight Africa 2019 report, which explores six overarching themes on the triumphs of the past years as well as strategies to tackle the remaining obstacles for Africa. Read the full chapter on Africa's untapped business potential. As an entrepreneur, I have traversed the length and breadth of Africa from Cape Town, South Africa, to Cairo, Egypt, exploring the huge potential often hidden throughout the continent. 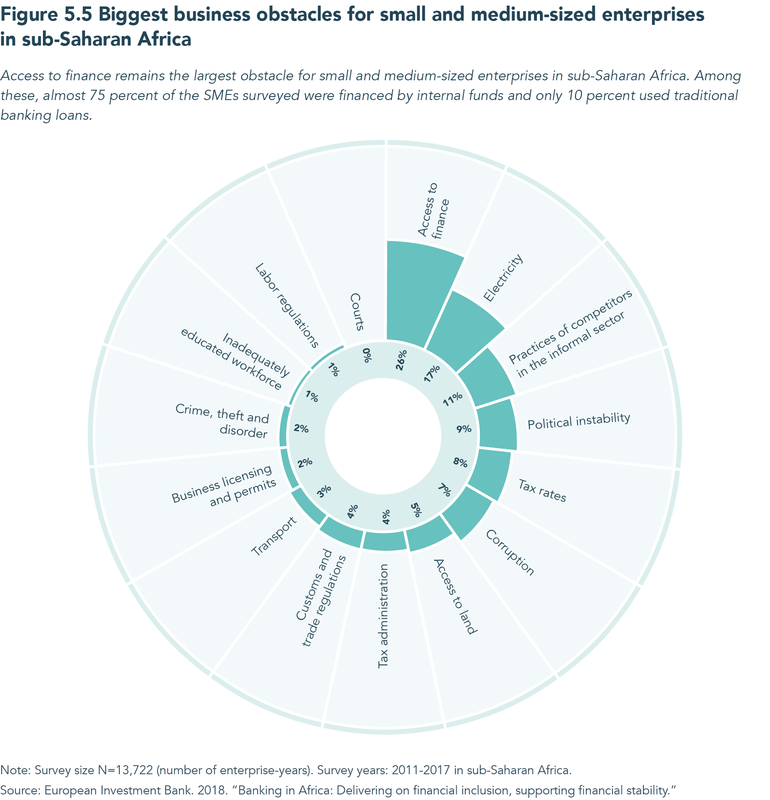 The business potential of the continent is tremendous in various sectors, including energy, infrastructure, agriculture, natural resources, and information and communications, offering opportunities for entrepreneurs. For example, with about 65 percent of the world’s uncultivated arable land, Africa has the potential to ensure its own food sufficiency and be a major supplier in global food markets. Similarly, the continent has the world’s largest reserves of vanadium, diamonds, manganese, phosphate, platinum-group metals, cobalt, gold, aluminum, and chromium, offering opportunities for entrepreneurs in the mining sector. Africa presents many challenges to doing business, but to those who are willing to learn and understand the intricacy of the region, there are massive opportunities for growth and success. For example, while infrastructural deficits look despairingly challenging to many, I am inspired by opportunities and not discouraged by the challenges. The $30 billion of annual investment in power and energy needed in Africa may seem like a half-empty, risky situation, but I see a glass half-full of opportunity to meet unmet needs. Similarly, the energy of youth bursting at its seams portends a binary action for good or for bad. I see a ray of hope in the former. The perception of risk often exceeds real risk and the doing business environment is improving rapidly in several countries. Real opportunity is based on how you perceive the risk as a half-full or half-empty glass. Understanding the local context will help to better realign actual and perceived risk. There is also progress on reforms to improve the business environment with countries such as Mauritius, Rwanda, Botswana, Nigeria, South Africa, and Kenya all offering ease in doing business through conducive environments and incentives. Mauritius now ranks 25th in the Doing Business rankings compared to its former 49th rank, and remains the highest ranked economy in sub-Saharan Africa. Rwanda ranks 41st, Kenya 80th, Botswana 81st, and South Africa 82nd. According to the World Bank, Rwanda ranks among the best globally in the Doing Business areas of Registering Property (ranking second) and Getting Credit (ranking sixth). In registering property, Rwanda has an efficient land registry where it takes seven days to transfer property and costs only 0.1 percent of the property value, the same as in New Zealand. Mauritius has among the least cumbersome business regulations in two Doing Business areas: Dealing with Construction Permits (ranking ninth) and Paying Taxes (ranking 10th). That said, policy uncertainty and regulatory inconsistency must give way to transparency and accountability in governance, backed by political will to ensure and promote regional integration and backward integration. In sum, Africa offers the world the biggest deal now and the continent is open for business, but the mindset of entrepreneurs and businesses is important to appreciate and seize opportunities. It is time to refocus the lens through which we see the continent.